Articles with surprising polling data numbers published by the Barna Group keep popping up. Deciding to do some checking for myself, I easily found the much-quoted survey that was most recently published in 2009. I’m no Bible scholar, but the above descriptions are things that most of the least knowledgeable Bible readers would admit are found in the scriptures. Two things surprised me: the numbers and how long it’s been this way. The numbers haven’t changed much in the last 15 years. One-third of all adults (34%) believe that moral truth is absolute and unaffected by the circumstances. Less than half of those who call themselves “born again” adults (46%) believe in absolute moral truth. So, two-thirds do not believe in absolute moral truth. Might this be a reason for many of our problems? Overall, the current research revealed that only 9% of all American adults have a biblical worldview. If this number is even close, it is a disappointment for those who hold God’s Word in high esteem. This entry was posted on Saturday, August 14th, 2010 at 11:25 AM and is filed under Commentary. You can follow any responses to this entry through the RSS 2.0 feed. You can leave a response, or trackback from your own site. 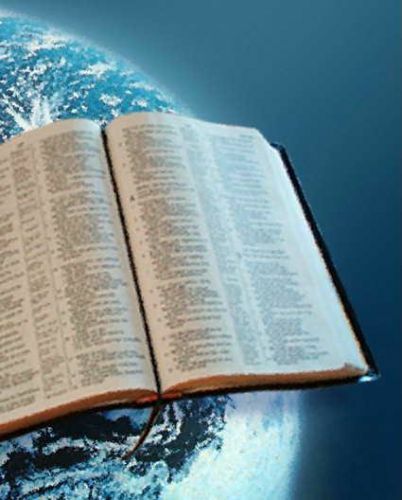 Anyways… I appreciate you taking an interest in Biblical Worldview! We have lots of work to do on this topic. I honestly don’t remember where I got the picture. At one point, I was taking pics from Bing Images and thought it was O.K. A reader pointed out that I needed to get permission before posting any pictures. Since that time, as far as I am aware, I have always given credit to the author and had permission to use any picture. Sorry I can’t help you with this one. I didn’t keep track of where I got pictures I used until the past few months.